You’ve already struggled to deal with your problem by yourself. And it’s really painful to admit to yourself that none of the strategies you’ve tried so far have worked. Your problem is still there, and it hasn’t gone away on its own – in fact, if anything, it might be getting worse. And now there’s a sort of jittery feeling in your stomach as you wait for your first counselling session. Relax. Take a slow, deep breath…. And take a long, long breath out. 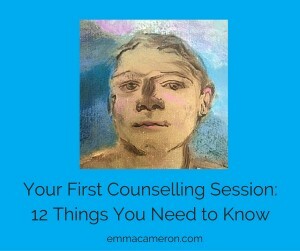 Your first counselling session is going to be okay! 1. It’s normal to feel nervous. Let’s face it: meeting a stranger, and potentially revealing stuff to them that’s personal and private – stuff you don’t entirely understand yourself – is scary! One thing that can help in this situation is to remind yourself that anxiety and excitement feel very similar. Maybe you are just excited at the prospect of finally finding someone who actually understands! It’s also exciting to think that this, your first counselling session, is your first step on your path to overcoming the problems you’ve been struggling with. Butterflies in your stomach? Bring ’em on! 2. Your counsellor won’t be judging you. In fact, he or she will actually be holding you in mind with compassion and friendly interest. To your counsellor, you are someone who is hurting. Someone who has done the best they know how. Someone who has tried bravely to overcome their difficulties. Someone who is now doing the bravest thing of all: realising that there is a problem, and seeking effective help. Also: even if your problem seems stupid or trivial to you, the fact that it’s important enough to seek help about, shows your therapist (and yourself) that actually, this stuff matters. And there’s probably a good reason, deep-down, why you can’t just ‘let it go’ without addressing it properly. 3. Your therapist won’t think you’re crazy. Psychotherapists and counsellors generally start from the assumption that people’s problems tend to make deep psychological sense once you really look into them. When you first come to therapy, neither you nor your therapist will know what’s driving or underlying your difficulties; but gradually both of you will begin to make sense of things. And ‘crazy’ isn’t a helpful psychological term, anyway! Therapists tend to be practical souls – if a label is not helpful, they won’t see any point in using it. They are interested in what’s actually going to help get you to a place where you feel more whole, real and fulfilled. Do you feel anxious about shedding tears? If you come from a background in which crying was somehow alarming, shameful or ‘not done’, the answer’s probably ‘yes’. Weeping in your therapist’s office might at first feel well outside your comfort zone. But you really don’t need to worry. Your therapist knows that tears are not dangerous. When you cry, he isn’t going to feel destabilised, or anxious, or somehow superior. Your therapist wants to help you reach the point where you can cry when you need to, without feeling overwhelmed or flooded by the emotion. 5. You’re not as weak as you think. Your therapist will know that making the decision to come to therapy is a brave, strong step. You’re not being weak! Weak people try to bury their issues, or push them away, not face them. It’s so much easier to do the weaker thing of blaming everyone else, rather than to hold your hand up and say ‘I’m struggling here — and I’m going to own my part in my difficulties, and actually do something about it’. Many, many people come to therapy feeling embarrassed and inadequate because they haven’t been able to manage their problems on their own. But humans were designed to be interdependent! That’s how our brains (and bodies) have been constructed. It’s not weakness; it’s how we’re built. 6. The therapist is on your side. Stating the obvious? If you think that this goes without saying, you’re one of the lucky ones. You’ve got a head-start on your therapy journey! If you can trust your therapist from the start, you can quickly dive in to the issues you need to work on. But if you feel wary and less trusting, that’s quite normal. Remind yourself that your therapist is trying to be alongside you, because she wants to help you. It’s a good idea, too, to talk with your therapist about your doubts, and see whether he or she responds with understanding and compassion (good signs) or gets defensive and critical of you (not good). 7. Counselling isn’t something that’s ‘done to you’. For your brain to be in a state where it can change for the better, you need to feel relatively safe and fairly calm. And you need to feel that you are choosing to be doing this work on yourself. If you feel forced or coerced in any way, positive changes won’t happen. Counselling and psychotherapy will only work with your permission. No one can make you reveal anything (or do anything) in counselling that is against your will. Similarly, no-one can expect to be passive in therapy and achieve good results. Therapy can feel like really hard work at times. You will need to have the courage to face things that may be hard to face, and you will need to persist and keep on coming back when the going feels tough. Hard work — but SO worth it! 8. 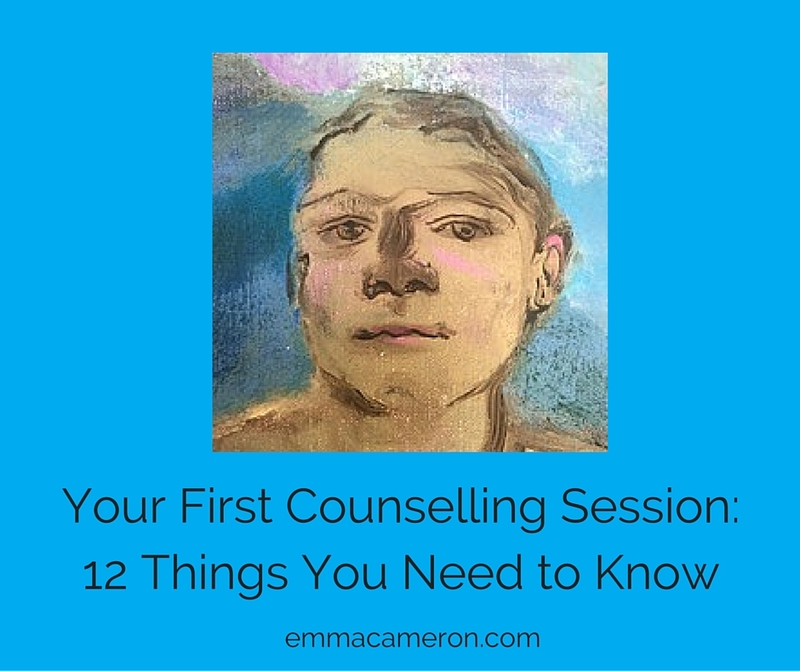 You need to have a reasonably good feeling about your therapist by the end of your first counselling session. You’re probably looking for a therapist who you feel is wise, as well as being calm, empathic and clear-thinking. Does your therapist or counsellor meet these criteria? And are there any other attributes that are important to you, such as age, race or gender? Counselling and psychotherapy work in the context of a relationship. It’s really important that you feel your therapist ‘gets you’ , at least to some extent. If you leave your first counselling session feeling that this is someone you dislike and are unlikely to trust, you should probably look for another therapist. Do feel free to shop around until you find someone who you sense is a good ‘fit’. They don’t have to have the same background as you, but there needs to be something about them that gives you hope that you’ll be understood and helped. 9. The therapist has ‘heard it all before’. Think your problem is so weird that the therapist will be appalled or confused by it? Think again. If she’s been in business for any length of time, the chances are that she’s already come across someone who’s been troubled by something similar. And even if she hasn’t, she’s probably read about this kind of thing in a book. Yes, you are unique. But most problems are more common than you might think. Just because none of your friends and acquaintances seem to be afflicted with whatever you are struggling with, does not mean that you are the only one in the world. 10. Counselling or therapy is very different from talking to a friend. puts you at the centre, and doesn’t get distracted by having their own history with you. 11. Change might take a while. It depends on the nature of your problem, of course. If your difficulty feels like a very recent thing, not linked to more deep-seated issues in your personality, then a few sessions might be enough to give you some much-needed perspective on what’s going on, and practical tips on what to do. But it’s quite likely that the particular issue that brought you to seek help may be linked to other ways you trip yourself up. If you have a sense that ‘this kind of thing keeps happening to me’ (even if you feel quite confused about what’s really going on) then you’ve already made a good start on getting to the root of things in therapy. Through psychotherapy you can become a deeper, calmer, more grounded, more authentic version of yourself. But not instantly; deep and properly lasting change usually takes longer-term work. 12. This is a place where your feelings get taken seriously. At first this may feel quite odd, but it will probably also feel like a relief. You’ll probably feel some sense that a load you’ve been carrying has shifted somewhat, or become slightly lighter. As you leave any counselling or psychotherapy session – and this includes your first session – you should have the feeling that something true about you has been felt, heard, said or seen. Your first counselling or psychotherapy session marks the start of a journey. A journey that ultimately will lead you to yourself — to a deeper, richer, more secure, more grounded relationship with yourself. And in case that sounds very self-centred, be reassured: once you feel more solid and peaceful within yourself, you are in a far, far better position to enrich and enhance the lives of the people around you. What have I missed out? If you have been in therapy or counselling for a while, what else do you wish you’d known before you first went? I’d love to read your comments below! I see clients online or in my consulting room near Colchester in north Essex, UK. Get in touch by email here, or phone 07515 937027 today to book a free 15-minute phone consultation. *I use the terms ‘counsellor’ ‘therapist’ and ‘psychotherapist’ interchangeably in this article. I also use these terms to include Arts Therapists and Integrative Arts Psychotherapists, like myself. You are a brilliant writer…any plans to write a book ? .I would add that you yourself have all the answers, your therapist will be the tool to help you find them. .And “assume the position and trust” kept me going for a long long time. .Oh and when you want to run away is often when the most important stuff is surfacing. Great tips, Marian! Thanks for adding these. I find the idea of “whatever comes in the room”, in the session, no matter whether it was what the client had intended to talk about, or seemed irrelevant, pointless … it always finds meaning, relevance. Their is a kind of magical uncovering, non-linear, that slowly untangles all the knots, confusions and obstacles, all in its own time and way. Trusting in that, for both therapist and client, seems to be a key for working together, and also later, to be open to all that life brings. I really enjoyed reading this Emma, and it makes me realise just how much I am missing working as a therapist, and the self-awareness and discovery for both parties. They say we always get the clients we most need, they all bring something for us to learn. I love what you’ve written here, Phil. How well you put it: ‘a kind of magical uncovering, non-linear, that slowly untangles all the knots, confusions and obstacles, all in its own time and way’… Absolutely! I’m glad you enjoyed my article, too. Yes, our clients really do bring us so much to learn. Doing this work feels like such a privilege. If you are aware of a struggle in your life that that you know you need someone to come along side you to help or when someone that you respect encourages you to seek counselling go ahead get the counseling sooner than later. Significant problems don’t go away magically or by themselves. Everybody needs some help from time to time. Counselors will not just look at what is wrong in the clients life, but also what your strengths are as well as what supports are present in life to help overcome the problem the client is facing. When you find the right counsellor and put the work in as needed you will be GLAD you did. Absolutely, Margie! And I love that you remind us that counsellors will help you leverage your strengths as well as help you respond effectively to your difficulties. I confronted both of these counsellors, and got written up for being “NON COMPLIANT.” A degree in the wall does not mean the counselor is capable ..
That sounds really painful for you – first because of what you have suffered, and second because of the awful experience of not feeling understood. It also emphasises how important it is to find a therapist that’s a good fit. I hope you have better luck if you seek counselling again. I appreciate much that you write, but I’d add that its not just about finding a ‘therapist who is a good fit’, but that it is important to be aware that not all therapists are equal. There are some that haven’t done enough of their own work to sit with the pain, fear and shame of others. There are some who do judge. These therapists are a bad fit for the part of us that seeks wellness, but a good fit for our trauma-system. The first person I went to see was toxic and shaming. I only did 4 months, and when I said I wasn’t going to continue, her comment was that I was clearly not prepared to do the work that I needed to do to find healing. At the time, I was so ensconsed in my ‘trauma-world’, that I took her judgement entered easily into me, where it added to my shame. Today, I see it differently. Today, I’d say ‘Something in me was wise enough to sense that I couldn’t do that work with her, becasue it wasn’t emotinally safe’. Fortunately, the next person I went to see was a truly extraordianry human being, and over years (of very challenging work), I’ve been to all the places I wouldn’t go to with therapist #1 – and many, many more. What you write here is so important, Daniela! I couldn’t agree more, that therapists really need to have done their own deep work, if they are to be able to really help others with their pain, fear and shame. And sadly, not all counsellors and therapists have done this work on themselves. And I love how you put it: that therapists who are not able to be with others in their deepest distress, without resorting to judgement etc, ‘are a bad fit for the part of us that seeks wellness, but a good fit for our trauma-system’. Meaning that (if healing work has not yet been done) the traumatised part of us can get easily hooked in to something very toxic and shaming, not able to protect ourselves against an emotionally unsafe situation. How wonderful that you were able to find another therapist who had the qualities you needed in order to grow and thrive. So much so, that you were able to go on and write ‘Understanding and Healing Emotional Trauma’, which is a wonderful book I’d recommend to anyone interested in the field.